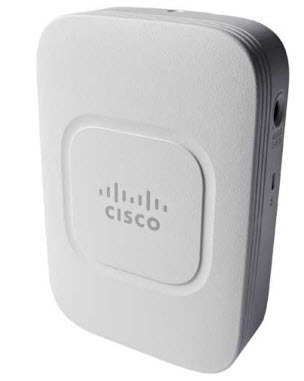 Cisco Aironet 700W Series Access Point is the latest addition to a comprehensive access point family, including 700 Series, 1600 Series, 2600 Series, as well as 3700 Series with 802.11ac standard. It is a wall mounted wireless and wired integrated platform, and the industry’s FIRST and ONLY dual radio, dual band 2.4/5 GHz Access Point with 4 GigE Ethernet ports for wired connectivity, like IP Phones, game consoles, entertainment devices or other connected devices. Cisco AP 700W Series can be powered either by Power over Ethernet (PoE) or by a local power adapter, while it also provides PoE out on one local port to power an additional connected device. Cisco Aironet 700W Series has a sleek design in a compact form factor to provide high quality performance while fitting seamlessly into the surrounding fixtures in any venue. It comes with a special-built bracket for ease of mounting to numerous global wall-box standards, making the Cisco Aironet 700W Series is a perfect fit for hospitality, dorm rooms, and other Multi Dwelling Units(MDUs), providing in-room connectivity. 700W Series is leveraging award-winning RRM and Cisco Prime Infrastructure for high AP density deployments, ensuring seamless roaming, and right-sized WiFi cells. It’s ideal for customers in hospitality and education who want to modernize their networks to handle today’s increasingly complex wireless access demands. There is a table to show the main features and specifications of Cisco AP 700W Series.